Here's how the stock DAC board can be modified: all "unnecessary" components have been removed and 3 discreet regulators added. I'm using MIT RTX 1uF output coupling caps. External PS is the same as in the balanced DAC. Instead of costly BG N 1000/50 I'm using here BG NX 470/16 which works fine too. I'm also attaching Word document which was compiled by uncle_leon who tried some of the mods already. Last edited by Peter Daniel; 26th April 2011 at 02:18 PM. Some of the components in a shunt regulator can be hard to source, so this is series regulator we've been using initially. It also works very well and the difference between those two regulators is rather subtle, although shunt seem to sound a bit better when the circuit is built exactly as described. Any balanced PCBs planned? Keeping with your affinity for short traces I see Neutrik has some nice PCB mountable XLR connectors. 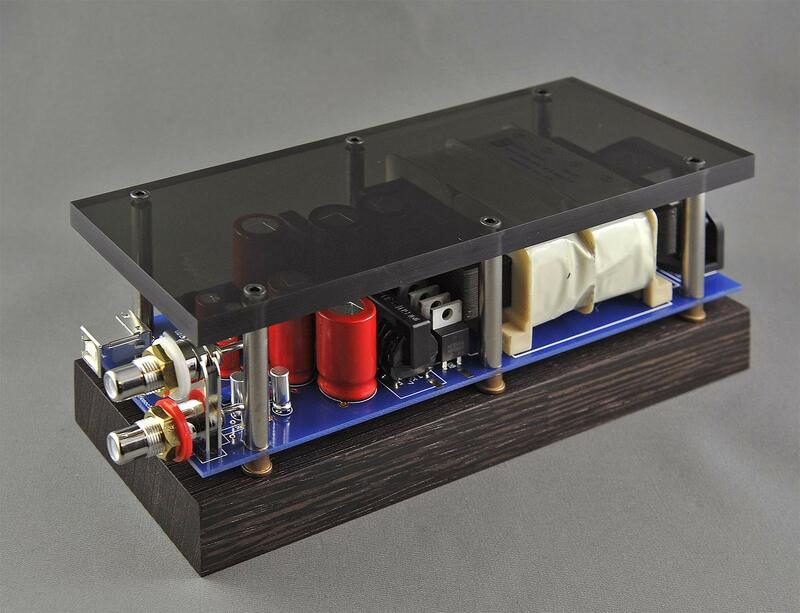 Coming back to the topic, here's a DAC I built for a local customer around Christmas time. He was initially searching for Bidat, but when he audition the Bidat and this DAC in my system, there was no doubt what sounded better. His system required coupling caps so we went with 1uF TFTF V-Caps. The enclosure is a modified AMP-2 chassis. Is anyone sure that Peter does not have a machine shop that is not int the pictures he posts? J/K. That is absolutely beautiful work Peter. How are the ends attached to the case? I don't see any hardware. Is this the same circuit with the addition of the coupling caps? Do you think most people wouldn't like the Altmann Attraction DAC? Of course we all know that the Altmann is a TDA1543 based DAC. The 3/4" aluminum panels are press fitted into tubing and secured with a single screw only.